+ check out our exclusive photos! This past weekend, California was home to The Growlers' fifth annual Beach Goth Festival. 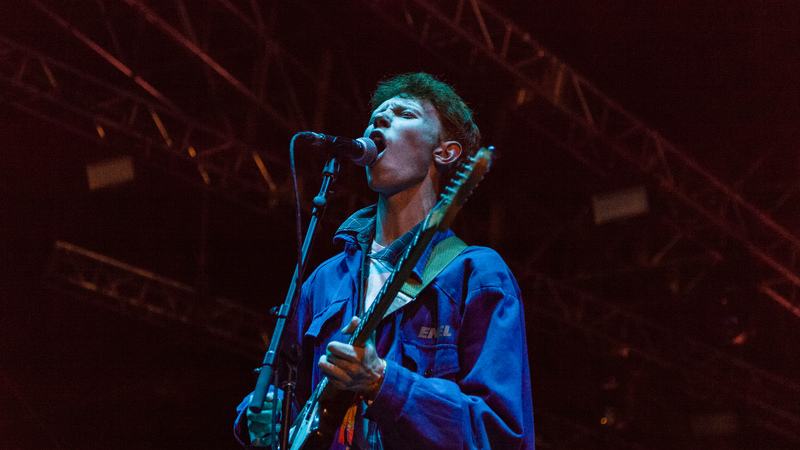 The awesomeness began as headliner Archy Marshall, aka King Krule, showed off some of his newest material—something we've been waiting months for. The UK musician took to the festival’s stage on Saturday night to deliver his signature blend of punk, alternative, and jazz-infused instrumentals along with his raspy, angst-filled vocals that we’ve come to love and obsess over. The “Rock Bottom” singer performed to a crowd full of cheering fans, playing well known songs such as “Little Wild” and “Has This Hit?”, before taking those in attendance off-guard by treating them to a new, unreleased track. Although the title of the song has not been released yet, it features dreamy electric guitar riffs and a saxophone accompaniment, a new addition to his backing band. If you weren’t able to witness this moment in person, fear not—we’ve got some fan shot footage of the surprise. Watch the videos below, check out our exclusive photos from his set, and be sure to track him on Bandsintown to find out when he’ll be coming to a venue near you!